What do you mean BDD? Using a Gherkin syntax provides an exta abstraction layer over more direct style unit-testing frameworks like Mocha or Jasmine. 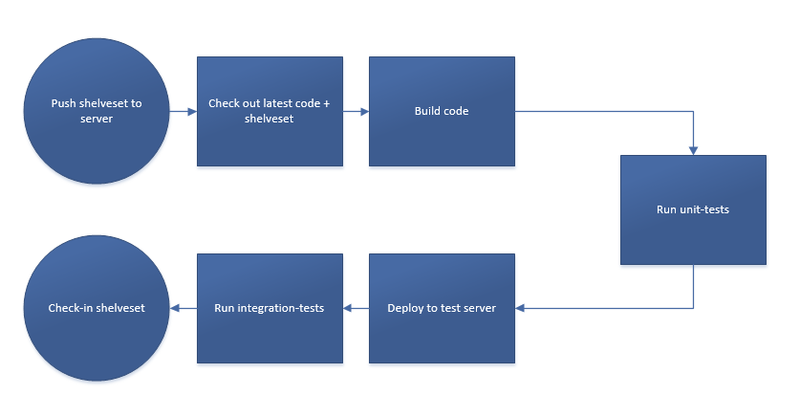 Here a non-developer could provide extra scenario's and the scenario's are pretty readable. Now you have installed npm the next step is creating a folder that will be the base folder for our development. 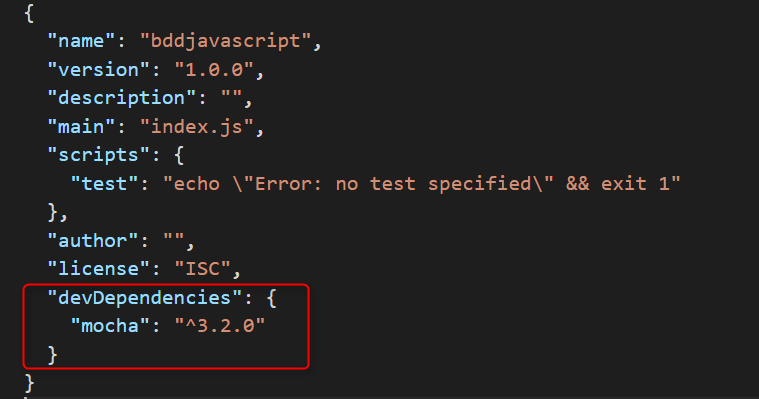 In this folder we will initialize npm so npm creates a config file called package.json keeping track of our required modules. So open a command prompt to create a folder and initialize npm. As you can see we now have a "devDependency" on Mocha. This means that if run "npm install" on this folder without parameters Mocha will be installed again. 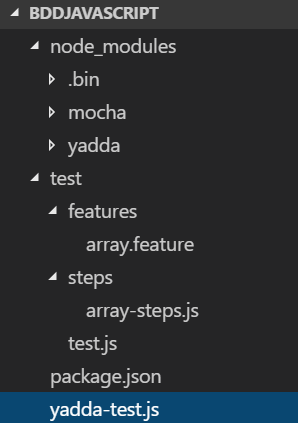 Mocha itself was installed in the node_modules folder along with it's depencies. To run this test we use mocha from the command line. And you should see the test pass. 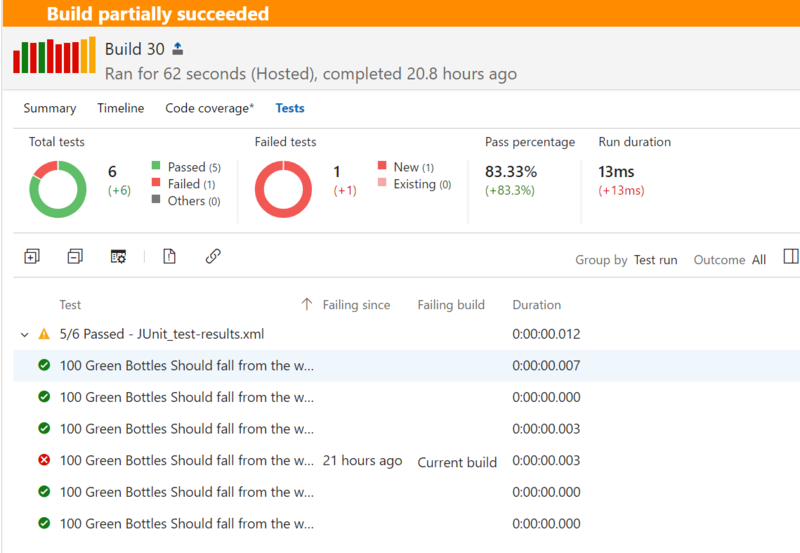 Finally we need to run the tests as part of our build proces.